We love notebook with a simple cover design. But sometimes it’s nice to add some colors to a plain notebook. Just use different colors of masking tape, no other materials needed. You can also use patterned masking tape or fabric tape to do it. It takes a little time….and patience. But I promise it will be worth it, because you will have a cute yet one of a kind notebook. 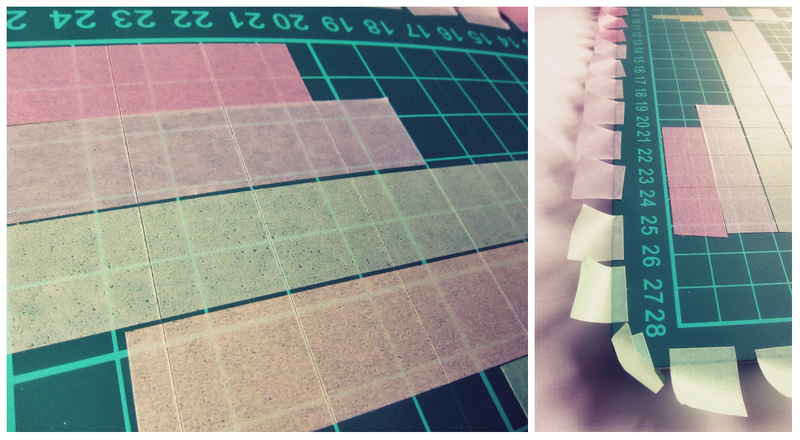 To make it easier for you, adhere the masking tapes onto a cutting mat with grid. Each tape side-by-side with the other tapes. Split it with a cutter into a square-shaped small tacky-sheet (kinda tongue twister isn’t it? Try to say it 10 times!). 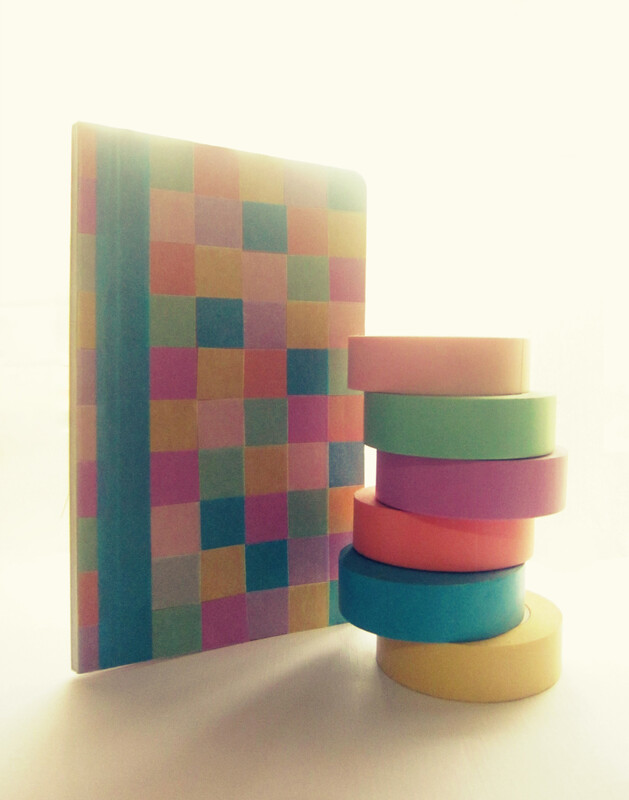 Then attach the tape to the notebook cover in any pattern you like. And you’re done! Try another color-combo: monotone, ombre, or you can make a simple drawing or monogram. Here’s a short video about the step by step. 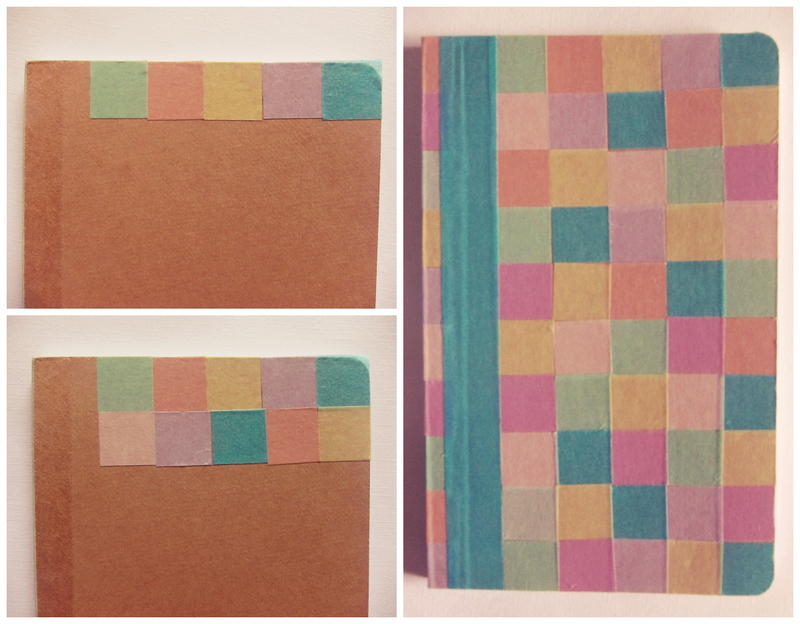 DIY: Mozaic Notebook from Living Loving on Vimeo. You can find masking tapes at gudily.com or Scoop outlets with price starts from Rp20.000 each. Scoop also has fabric tapes with price starts from Rp12.000. The brown notebook is from Muji, forgot the exact price but I think it’s around Rp15.000.